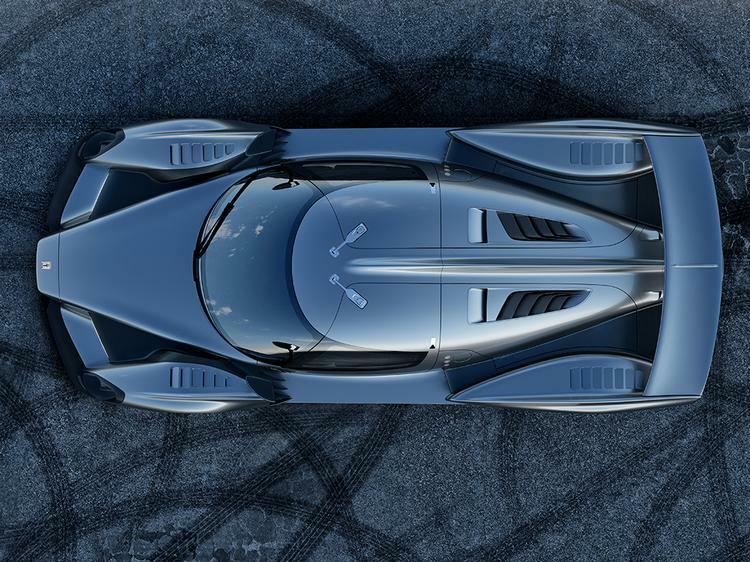 It probably won't have escaped your attention that this year's Geneva show is a big one for supercars, so it should come as no surprise that the Scuderia Cameron Glickenhaus team will be there with an even faster car. 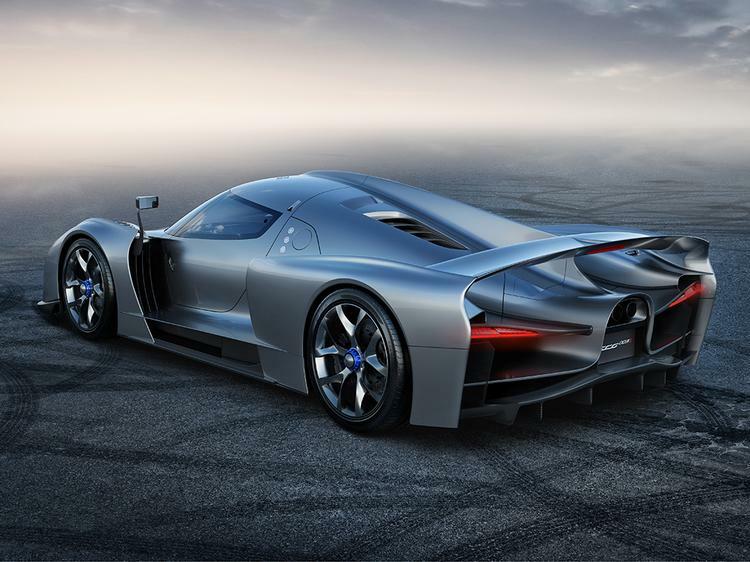 Two years ago the SCG003 was revealed at Geneva; for this year an SCG003S will be shown, building on that car with experience from the SCG003C race car and a desire to beat the Nurburgring lap record. The plan is not to shave a few seconds off either: "The target that has been set is an astonishing six minutes and 30 seconds, within 20 seconds of the famous all-time Nordschleife record... and annihilating the present benchmark of six minutes and 57 seconds." Quite some achievement if they can manage it. 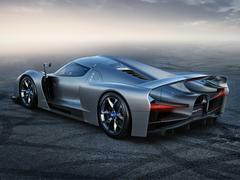 As before this car will be built in Italy by Manifattura Automobili Torino, but now with a few tweaks. The panels are still said to be easily removable (and carbon fibre), with a design further optimised for aero efficiency and featuring a new rear spoiler design plus a "sort of virtual bow" at the front and further revisions underneath. 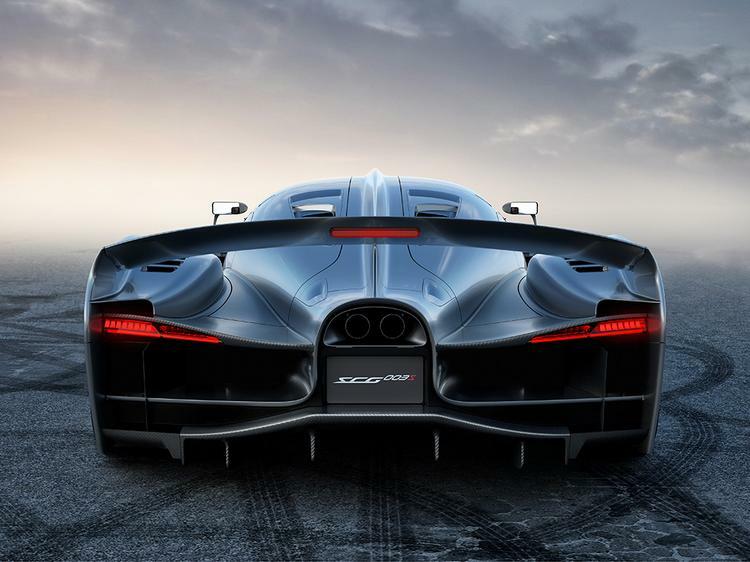 In addition the monocoque weighs just 105kg, the gearbox is a seven-speed sequential and the SCG003S uses pushrod suspension all-round. 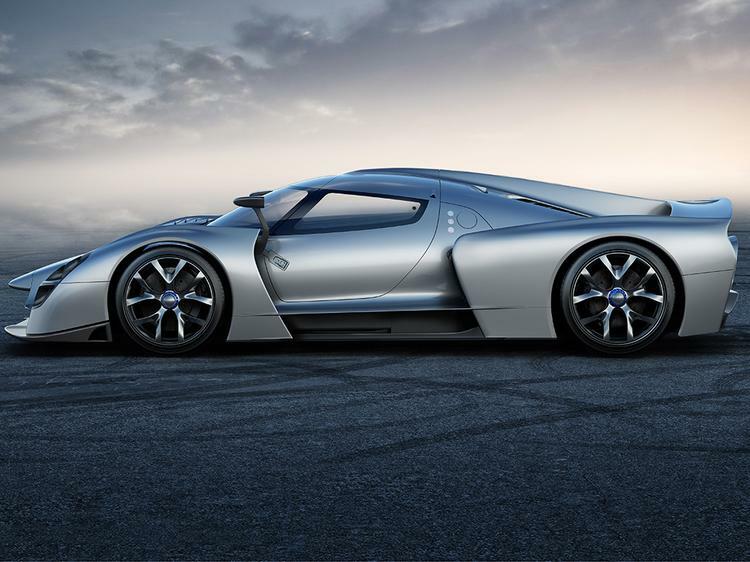 Despite this though, Glickenhaus claims genuine road car usability. It's even got a chassis lifter for speed bumps. There's air-con too, plus a space for a second passenger and split-screen display where a smartphone can be incorporated. It's probably not going to be an Aventador for mooching around in, but Glickenhaus maintains this is a perfectly suitable road car. 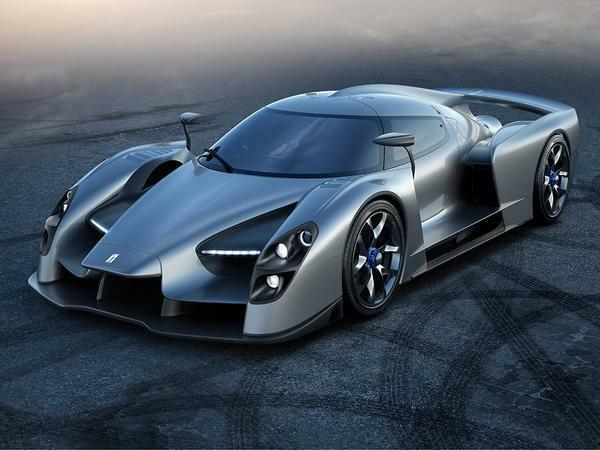 Moreover, Geneva will play host to the SCG003CS (Competizione Stradale), which is Glickenhaus's personal one-off. It's road legal but apparently even closer in spirit to the race car - "even more extreme and raw than the road car", no less - with a racing wing and racing suspension with very small concession to road use. You'll spot it on the stand thanks to its transparent blue finish for the carbon panels. As for availability the CS is definitely pitched as a one-off, leaving just the Stradale for prospective customers. A price hasn't been confirmed for Glickenhaus's first road car yet - hopefully that's forthcoming at Geneva. More soon! Will be fun to see it tootling around Harrods at 5mph. Anyone else seeing echoes of the XJ220 in that rear quarter profile? In this day and age, can they not get rid of mirrors? Not if they want to use it on the road in Europe or the states. I'm sure camera based solutions will legalised eventually, but they aren't yet. Regulations are catching up with technology. At the moment, for a road car, they're holding back mirrorless designs. I can remember Tomorrows World with Raymond Baxter explaining that "in future" mirrors may be mounted on the doors, they will be "this big" and will have to "fold for safety"! Good grief I am so old ! You sound butthurt. Frequent around Harrods? 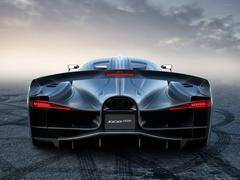 A well-heeled man walks into his local winebar, throws down a brand new car key at the table occupied by his friends, and says 'Ive got a Glickenhaus"
Said friends shuffle uncomfortably, look down into their glasses of grappa, before one pipes up "So Tarquin, how long have they given you to live?" Just wondering where one will get to actually extend a car like this, the world becomes a smaller place the more powerful the car becomes. Surely even a 911 Turbo S is operating at the outer limits of what can reasonably (??) be achieved on public roads, so where does that leave this? Anyhoo, i'm sure this is, and will be, a magnificent beast, but being an antediluvian i sincerely hope no-one manages to get close to the outright record of 6.11 set by the late, great, Stefan Belof. Which reminds me, which record are they looking at breaking? The one for production, street-legal, the non-series/non-road legal, or competition? I may be having a 'senior moment' but i'm not clear which the vonGlinkenhoff or whatever its name is, is aiming for, as the article does share a quote, saying "It's road legal but apparently even closer in spirit to the race car - "even more extreme and raw than the road car", no less - with a racing wing and racing suspension with very small concession to road use. ....? Good grief - just what is the point of 'Ring records. I am just not interested in the continued development of consistently fast, competent cars that can deal with odd cambers and bumpy surfaces. I live in London, like all PH readers, and therefore this car could never be used in the real world. I mean, does anyone in the world ever drive over 80mph anyway? This is just about pub bragging rights. I'm not sure why it's stupid even if it doesn't roll off the tongue as well as some? He's not the first and he won't be the last to his surname for his car, it's kinda what folks do. I don't think it's his personal car, and the one the quote is referring to, that is being used to set the record. It's the updated S version of standard car that will be used and is available to customers. Over 40 years I have put hundreds of thousands of road miles on former race cars. Driving into the sun rise in a car that Mark and Bruce finished 4Th OA at Le Mans in 67 or driving through the rain through the mountains of Sicily in a 1947 159s that Raymond won the Turin GP in or driving through the dessert in a Baja Buggy that Steve won the Baja 500 in isn't something you soon forget. It's the journey not the destination and driving our S on the roads you love with someone you love isn't something you'll forget either. The wing mirrors are currently required. They also house cameras that appear on dash screens. They also trim wake vortices so all is not lost. If any of you get to Geneva do have a look and say hello. It's either a footballers car or will be bought by rich idiots with more money than sense. There that's the other two covered! This thing is absolutely great. I'd love to know more about the design and engineering process. 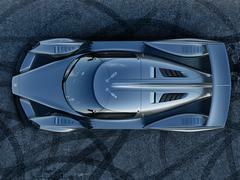 I worked on the Nio EP9 surface development which is similarly low volume and high performance. Really hope it smashes that 6:30!